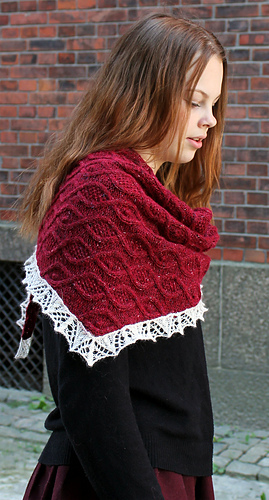 Rustic tweed meets romantic lace. The different textures create an interesting contrast with a vintage vibe. 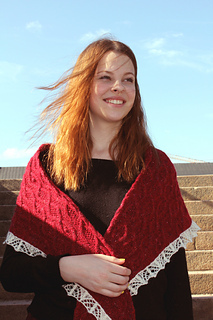 The shawl is the perfect companion when the chill sets in. 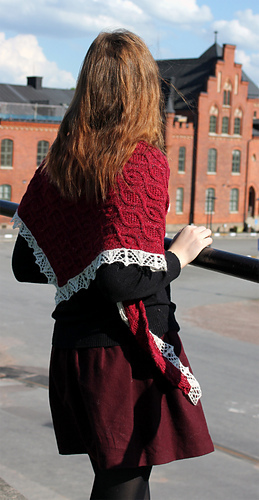 The body of the shawl is worked sideways, from point to point. 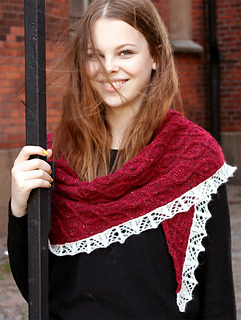 The lace is made separately, and attached by simple crochet stitches (or sewn on, if preferred). 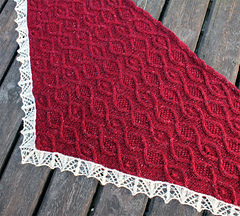 The cable and lace patterns are given in charts only. 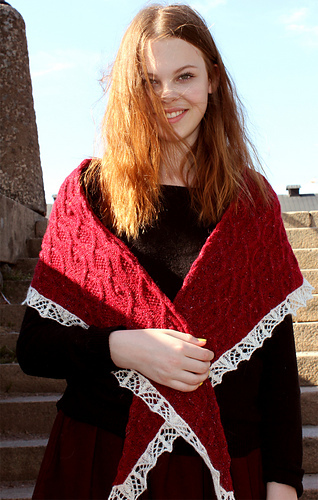 The pattern includes instructions on how to recalculate the lace if the shawl body doesn’t meet the measurements in the schematic. 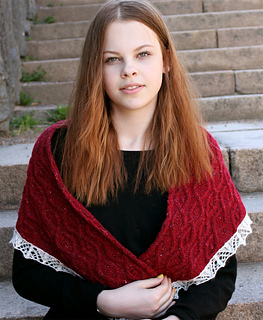 You are purchasing a pattern as a PDF through Ravelry download. You have the right to cancel your purchase within 14 days after purchase before downloading the pattern file. Because of the nature of PDF downloads, once downloading has started the sale is final. Please contact me if you have any questions. I will do everything that I can to resolve issues that may arise.